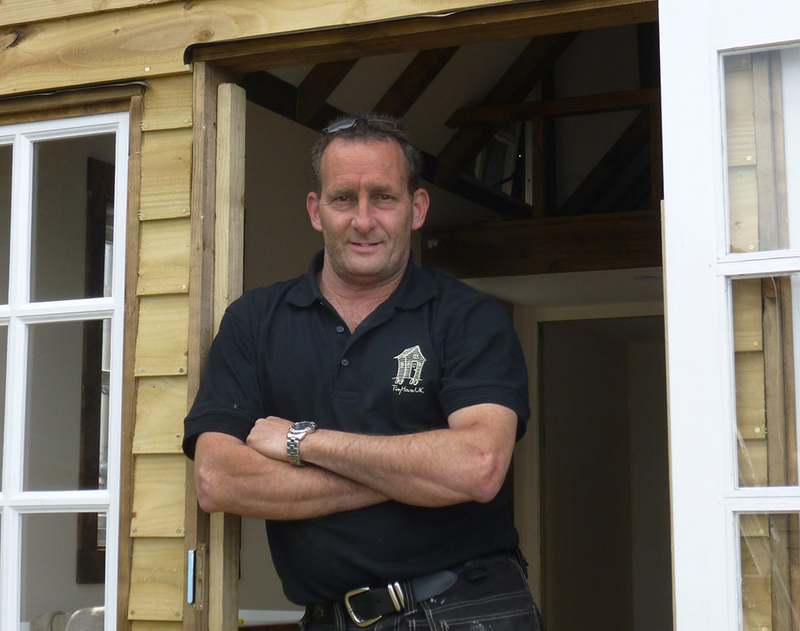 Why buy a shed from us? Simple, they are all Custom Built, they are built far stronger, they will last a lot longer and they look nicer. 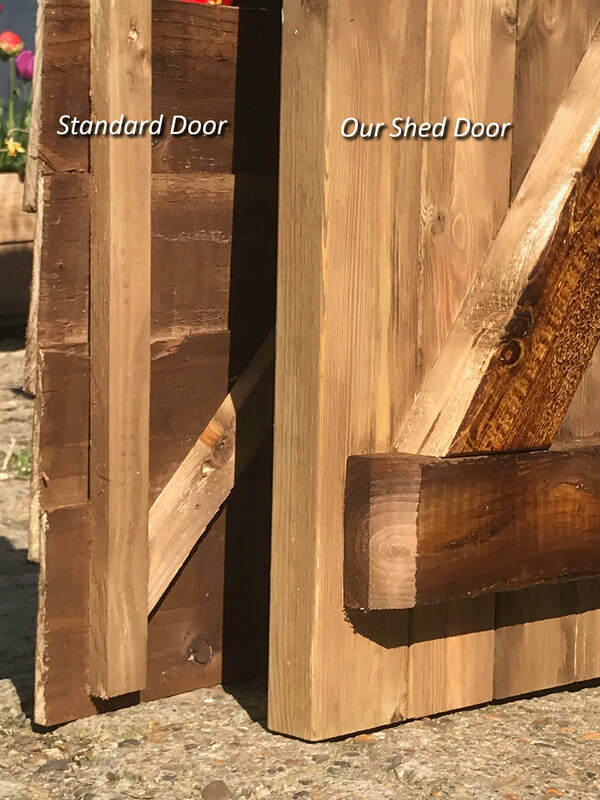 Here are some comparisons of the way standard (off the shelf) sheds are made against how we build ours. All the timbers we use are pressure treated, not dip treated (slightly orange in colour) like most cheap shed companies. The framework structure is built using C16 or C24 grade 47mm x 100mm rather than a much thinner 18mm x 38mm. which is also used to build fence panels. 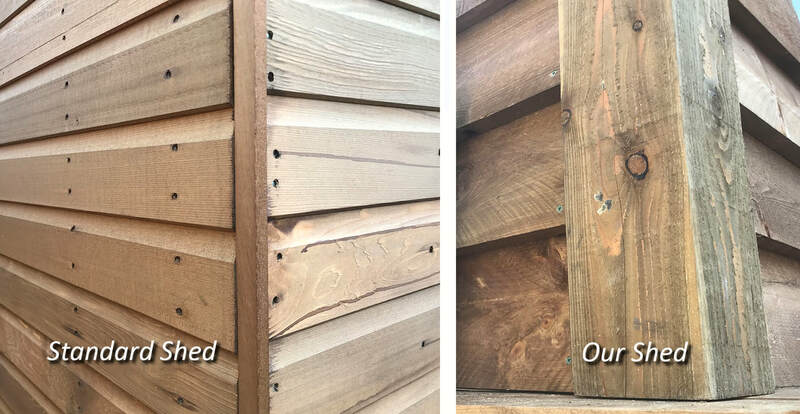 Our standard cladding is much thicker and wider, the same cladding used to build barns with. Most shed companies that use featheredge use the thinner material much like the cladding on fence panels witch doesn’t last very long. All our sheds will come with a DPM (Damp Course Membrane) to make sure damp doesn’t rot the floor. Our roof structures are built in the same way as a roof on a house, treated rafters instead of a sheet of OSB (like chip board). Victorian houses with the same type of structure are still standing today and they didn’t have the Tanalised Pressure Treatment Systems we have today. The other way we make sure our sheds last is to look after the roof. We don’t use nail on roofing felt. Instead we use a 3 layer system. 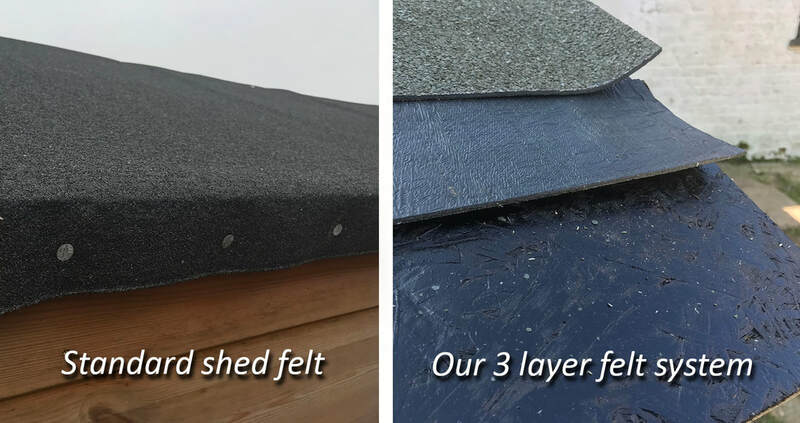 The first layer is painted on Tar over the 18mm OSD boards to repel water, the second is a adhesive backed rubber membrane and the last layer is a rubber backed self adhesive industrial roofing felt. This system is meant for flat roofs on house extensions so if its good enough for that, its even better for a shed that has a slight slope for the rain to run off. We also recommend our flat roof sheds are fiberglassed instead of using felt even though builder’s use felt on a flat roof extension. We make our own doors too. A bit overkill but they are meant to be strong enough to reduce break-ins. However, if anybody wants to get into a shed, they probably will but they would have to make an awful lot of noise to get through our doors. 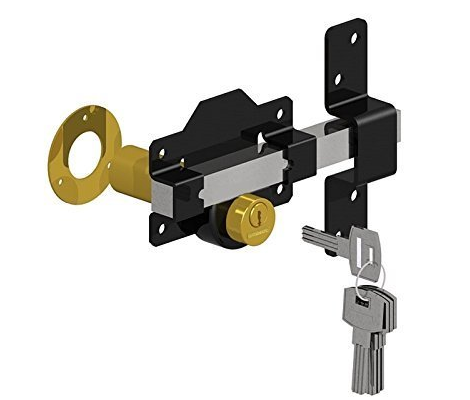 Our lock system is a steel sliding bar that slides into the 4 inch stud frame with 5 security keys as standard which is far more secure than the hasp and staple method most sheds are fitted with. 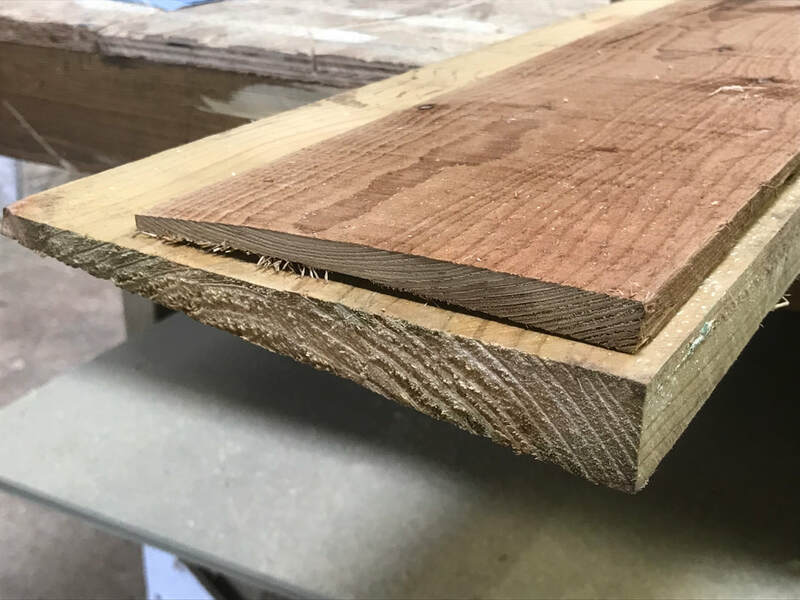 Our standard Barn Board Cladding (bottom) is nearly an inch thick. Our corner posts are 6"x6". These post's are normaly used to hang farm gates on. 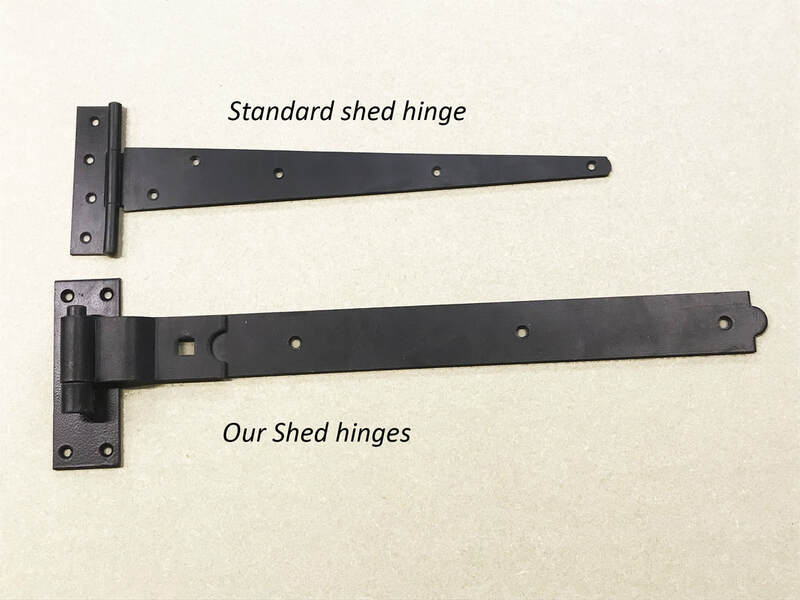 Our shed doors are built much thicker and stronger.